First the project ‘Student Republic’ was carried out within the framework of celebration the Youth Day in Kiev1998. Taking into account the considerable effect, ‘Student Republic’ has been already realized as Ukraine-wide project since 1999. The project has been supported by the Ministry of Ukraine on businesses of Family, Youth and Sport since 2002. The Ministry of Education and Science of Ukraine also renders assistance to the project. The final part of the project has been carried out on the seashore of Crimea with the participation of regional stages’ winners since 2004. First the project has been carried out in the format of multi-festival since 2006. In 2007 it was set the course for the international format of Student Republic (teams from Russia and Georgia took part in its final part). Most of student leaders of nowadays have gone through the Student republic in Ukraine. The assistance in consolidation of civil society through the development of civil participation culture and democratic values of youth. — Forming the civil participation abilities of student youth through simulating of political proceedings in the process of carrying out the project. — Attraction of new activists to organized youth movement. — Activisation of youth influence on processes of decision-making. — Assistance in student self-government development. — Popularization of ultra-modern forms of interesting leisure of youth. — Propaganda of the health way of life. — Assistance in international mobility of youth. 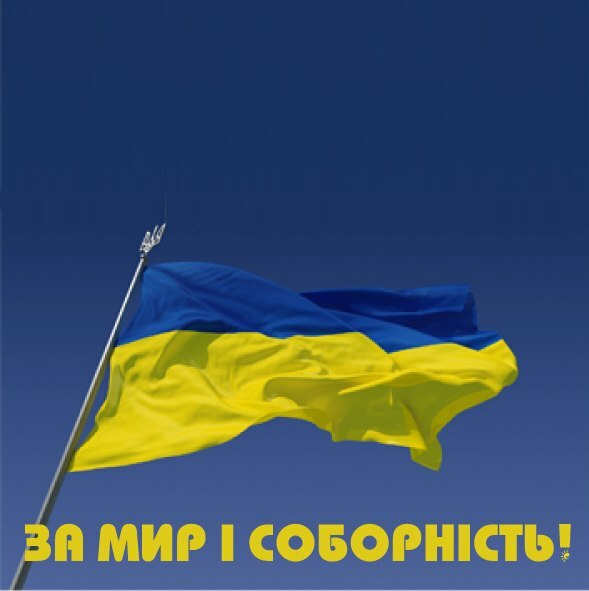 — Realization of dialogue between the youth of different Ukrainian regions. Primary target audience – the students of institutes of higher education of I – IV levels of accreditation. Secondary target audience – the youth aged 18 – 35. AR of Crimea, the cities of Kiev and Sevastopol, the regions of Ukraine, institutions. Organizational committees are established for the carrying out the project in every educational institute – institutional organizational committees, in regions of Ukraine – regional, at Ukraine-wide level – Ukraine-wide organizational committee, at international level – international. Regional stage is to be held in a period since 21 of June till 7 of July 2008 (devoted to the Youth Day and Constitution Day). Ukraine-wide stage with the participation of foreign delegations is to be held in a period – 21 – 23 of August 2008 (devoted to the Independence Day of Ukraine). The date of carrying out of international stage is made more exact. ‘Student Republic’ takes place in a format of multi-festival, i.e. several sub-festivals around the central event – organizational active game (OAG). Sub-festivals are held at the same time and at the same place. In the process of carrying out the OAG quasi-state youth creation ‘Student Republic’ is established and it has its own laws, authority, territory, currency and other attributes of state. According to legislation of the ‘Student Republic’ in the quasi-state elections are proclaimed, the CEC is established, ‘political parties’ are formed, full-fledged election campaign is carried out with its culmination – voting. Main point is to realize the simulating of all political and law and economic processes that occur in the society as at the time of elections as at ‘peace’ time. At regional stage the result of the game is elections of Student Mayor and deputies of Student Council. Winners of the regional stages go to the final part. Overall results of the Ukraine-wide game are the elections of Student President and Student Parliament. The game is accompanied by carrying out the sub-festivals during which competitions between the students take place: beauty contest ‘First Lady’, tournaments of games ‘Mafia’, ‘Quest’, ‘Debates’, ‘Night party’, flesh-mob contest, RPG (Role Playing Games), extreme kinds of sports competitions, open air, beachfront kinds of sports competitions, round-table discussions, master classes, creative laboratories, festival of youth mass media, festival of amateur video on social themes, etc. The carrying out of the final show-concert at the central square of the city is obligatory during which the inauguration and the rewarding of winners will take place. The rest of requirements and rules that concern the project are designated to Ukraine-wide organizational committee. The participants of the project are attendances and citizens of the ‘Student Republic’. Everyone who respects and shares the goal of the project, who doesn’t break the civil order, who doesn’t damage the image and the authority of the project and its participants may be the attendance of the ‘Student Republic’. Everyone, aged 18 -35, may be the ‘Student Republic’ citizen. Citizens of ‘Student Republic’ are eligible to vote during elections of Student Mayor and deputies of Student Council. The citizenship can get not only a student. The getting of citizenship is realized during the game. The citizens of ‘Student Republic’ aged 18 – 25 can be members of a ‘political party’. Political teams from institutions are formed by the results of elections in the institutions of higher education. The form of such elections is determined by the regional organizational committee itself. The results of elections are confirmed by the document signed by the organizational committee. If the elections in the institute were not realized then the participants of the project can become enterprising groups from that institute by their appropriate registration in the organizational committee. Student Councils must be elected consisting of 10 deputies by proportional principle (open lists) from the parties (party coalitions) with the overcoming of passing barrier. One Student Mayor must be elected by means of direct voting in every region. — status inauguration of winners of the Game in the person of Head or deputy Head of regional state administration, Mayor or his deputy, people’s deputies of Ukraine in every region. — Creation or participation of winners in the work of consultive and soviet bodies on youth’s (students) questions at government bodies. ‘Student Republic’ is obligatory the project ВМГО ‘Student Republic’ and НДЛМ, names of both organizations are to be presented as main organizators in all documents, materials, press-realizes, advertising products. Names and logotypes of national partners of the program are to be mentioned in all materials connected with Student Republic at the regional level. Name, logotype and rules of the game ‘Student Republic’ are soundproofed with copyright and legislation. At the time of carrying out the ‘Student Republic’ sale and usage of alcohol, being at the territory of activeness at drunkard state is restricted, smoking is allowed at special places.